What is a Parade of Homes? It is a showcase of newly built or remodeled homes located in different communities throughout the Lowcountry open for self-guided tour by those interested in learning more about the area’s top builders and the latest in home design. 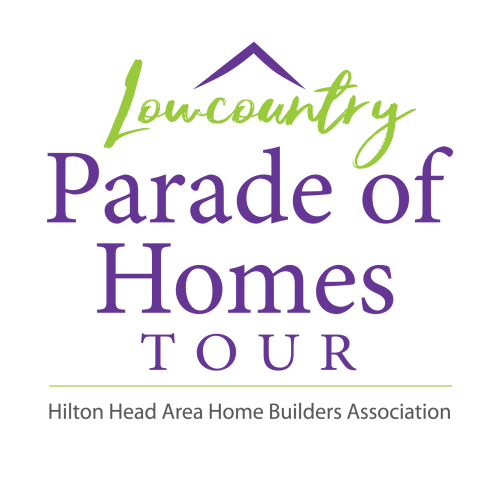 The Lowcountry Parade of Homes is put on annually by the Hilton Head Area Home Builders Association, and the builders and communities featured on the tour are all members of the organization. When will the Parade of Homes take place? The Lowcountry Parade of Homes takes place March 29-31, 2019. Hours are 10:00 AM to 4:00 PM Friday and Saturday and 12:00 PM to 4:00 PM on Sunday. Do I need a ticket or pass to tour the homes? 2. Download the new Lowcountry Parade of Homes Tour App to your mobile device. A link to download the app can be found at www.paradeofhomestour.com or you can go to App Store (for iOS) or Google play (for Android) and do a search for “Lowcountry Parade of Homes”. 3. Register in person at the Lowcountry Home & Garden Show taking place in conjunction with the tour March 29-31 at Buckwalter Rec Center in Bluffton (905 Buckwalter Parkway, Bluffton). A Parade of Homes Booth will be set up at the front entrance of the show. Does the tour cost anything? Yes, the Lowcountry Parade of Homes Tour is $5.00 per person interested in attending. A portion of proceeds are being donated back to local charities. You are required to register for your Tour Pass and have your printed Tour Pass or digital Tour Pass (confirmation email/app/text) ready to present prior to entering tour homes and gated communities. Cash payments will be accepted at the Lowcountry Home & Garden Show Parade Pass desk at the entrance to the indoor exhibit area March 29-31, 2019 located at the Buckwalter REC Center Facility, 905 Buckwalter Parkway, Bluffton, SC 29910. For more information about the show visit our Lowcountry Home & Garden Show official Website by clicking here. How do I redeem my Tour Pass after I’ve registered for it? After registering for your Lowcountry Parade of Homes Tour Pass online, a confirmation email will be sent to the email address entered when the registration was completed. If you’ve downloaded the Lowcountry Parade of Homes Tour App, your digital Tour Pass can be found on your app. Present your printed Tour Pass or digital Tour Pass (conformation email/app/text) to gate security at the entrance of gated communities, and upon arriving to each of the homes you wish to tour. Is there a Parade App I can download on my smartphone? Yes, the app to download for iPhones and androids is “Lowcountry Parade of Homes”. 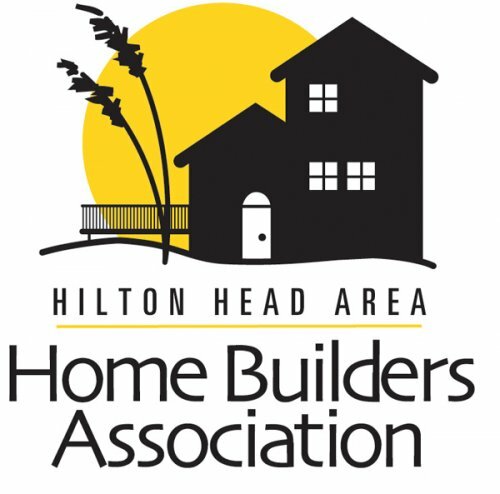 You can also search “Hilton Head Area Home Builders Association”. The Lowcountry Parade of Homes Tour App allows you to view images and detailed information for each of the tour homes, as well as get turn-by-turn directions to tour homes. You can even save a digital copy of your Tour Pass to your smart phone using this app. When you open the app a list of the homes in our Parade will appear. You can view detailed information and a map of the homes by simply tapping on the image. This is also where you can vote for your favorite homes on the tour! Where can I get a map and directions to tour homes? A map of the tour homes can be found online at www.paradeofhomestour.com by clicking on the “Map” tab in the bar located at the top of the page. Directions can be found by clicking on any of the tour home pinpoints located on the map. A map with directions can also be found in the Official 2019 Lowcountry Parade of Homes Tour Guidebook. This printed publication is available now at area grocery stores in the free publication displays next to Island Real Estate Magazine. The guidebook will also be available at the Lowcountry Home & Garden Show taking place in conjunction with the tour March 29-31 at Buckwalter Rec Center in Bluffton (905 Buckwalter Parkway, Bluffton). A Parade of Homes Booth will be set up at the front entrance of the show. A map and turn by turn directions to tour homes are also featured on the Lowcountry Parade of Homes Tour App. How long is the Tour Pass good for? A Tour Pass is valid for the duration of the Lowcountry Parade of Homes, until 4:00 PM on Sunday, March 31, 2019. Taking photographs of a tour home is at the discretion of the builder. Please ask the onsite builder representative prior to taking photos of a tour home. Can I tour a Parade Home more than once? Yes, you can tour a Parade Home as many times as you would like during the tour hours and duration of the Lowcountry Parade of Homes Tour. I am planning to build or remodel in the near future. Besides touring homes, what else should I consider? On the Hilton Head Area Home Builders website, there is an entire section dedicated to building or remodeling your home. We also have a Member Directory and encourage anyone looking to build or remodel a home to make sure their builder or contractor is a member of the HHAHBA. Are there any “rules” to follow while touring Parade homes? Each home featured in the Lowcountry Parade of Homes is either already owned or will soon be owned by a family looking forward to moving into their new home. Please be respectful of these private homes and the personal belongings of homeowners by adhering to the policies outlines below. · Parking at tour homes is limited to driveways and designated areas. Parking is not permitted on any of the neighboring properties, on grass, on the street or street-side, unless clearly marked. Parking within communities are subject to the rules of that community. The touring guest is fully responsible for property damage, ticketing and/or towing caused as a result of improper parking. · Please be aware that touring guests may be asked to remove shoes or wear shoe coverings before entering a tour home in order to keep floors from being damaged. If you see this as a safety issue, it is the recommendation of Parade Staff that you opt out of touring that particular home or seek approval to keep your shoes on. · At the discretion of the home builder, the only animals permitted in tour homes are service dogs. · Eating and/or drinking inside tour homes is not permitted. · Smoking is not permitted anywhere on the tour property. · Strollers and wet umbrellas will not be permitted inside tour homes. · Children under 12 years old must be in the same room with their adult chaperon. · Photographing a tour home is at the discretion of the builder. Please ask the onsite builder representative prior to taking photos of the home. · Please refrain from touching décor, furniture and personal items inside tour homes. Do not open furniture drawers or closed doors. If a door is closed, it is likely because it is an area of the tour home that is off limits. · Guests who refuse to comply with the policies above and/or any guest causing a disturbance on the property of a tour home may be asked to leave.